• Medical Clinics: Approximately 2,500 children, women, and men are seen by FOTCOH medical staff at each of our clinics. Each and every person receives love, compassion, and the best possible medical care available. • Surgery: The FOTCOH surgical program celebrated its 10th anniversary this year. Over 1,400 surgical procedures have taken place since it’s inception. • Education Clinic: This year we piloted our first ever Education Clinic. In this clinic, 500 school children were taught how to wash their hands and learned what germs were and why they are bad for their bodies. 180 families received the blessing of clean water filters and 700 hygiene packets were handed out. • Malnourished babies received Medika Mamba, the life-saving peanut butter based medicine. 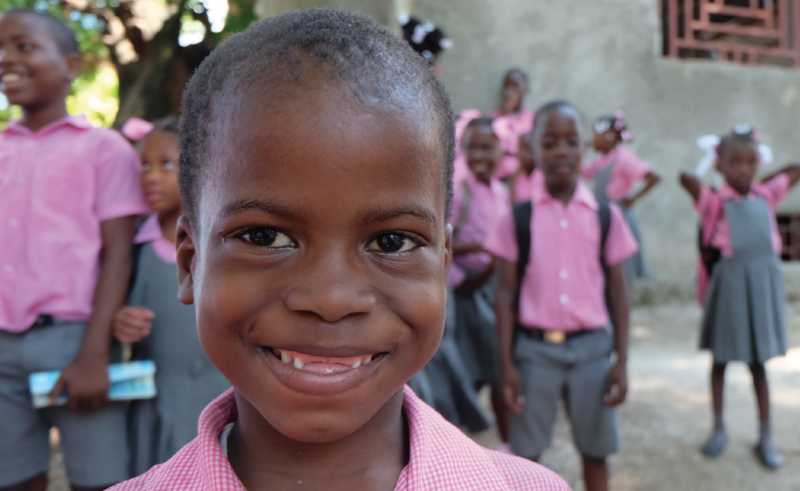 • Agonizing pain was eliminated for hundreds of Haitians due to our dental program. We are so proud of what we have accomplished in 2018, but there are still more Haitians who need our help. Your gift will make a difference in the lives of people who desperately need the care that only FOTCOH can provide. As you give thanks this Thanksgiving season for all that you have in your life, own lives, please remember the people of Haiti. Please consider making your gift today.